Alpha Electric Supply’s lamp line is continually growing and already covers a wide assortment of lighting manufactured by leading companies in the USA and abroad. Alpha Electric Supply stocks the name you trust in quantities that makes us your #1 electrical supplier. You will benefit from our strong relationships in leading manufacturers like Sylvannia and more. Just provide us your detailed specifications and we will call pick up. We pride ourselves on providing quality product that is competitively priced while at the same time providing the absolute best service. Feel free to browse the websites and select which product line is best for you. Osram Sylvania is a primary manufacturer of lamps and ballasts. All Alpha Electric locations stock a deep inventory of Sylvania products. Industry-leading LED lamps are available, along with traditional fluorescent, halogen, incandescent and HID lighting products. 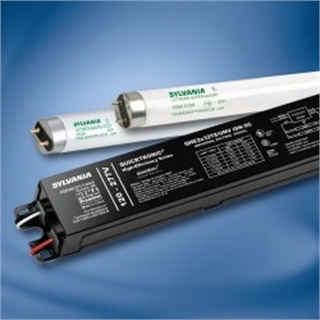 Sylvania ballasts are made in a variety of configurations to work in whatever application they are needed. Regional distribution centers allow for the quick shipment of Sylvania products to Hawaii. Find Out What Alpha Has to Offer!